Bupleurum Liver Cleanse contains a proprietary blend designed by Planetary Herbals. Each serving also contains 110 mg of calcium as well. Warnings: Not for use during pregnancy or breastfeeding. If you are taking Interferon or any other prescription drugs, consult your physician before using this product. Keep out of reach of children. Do not use if either tamper-evident seal is broken or missing. 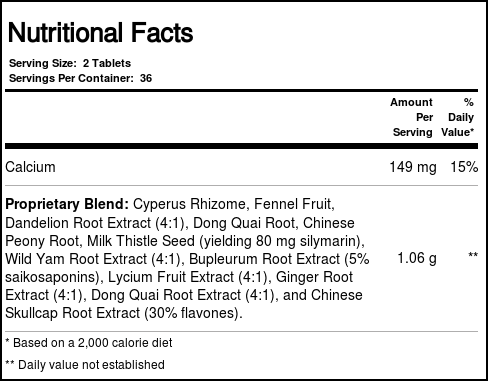 Notes: Read all instructions, ingredients and warnings before consuming this product. 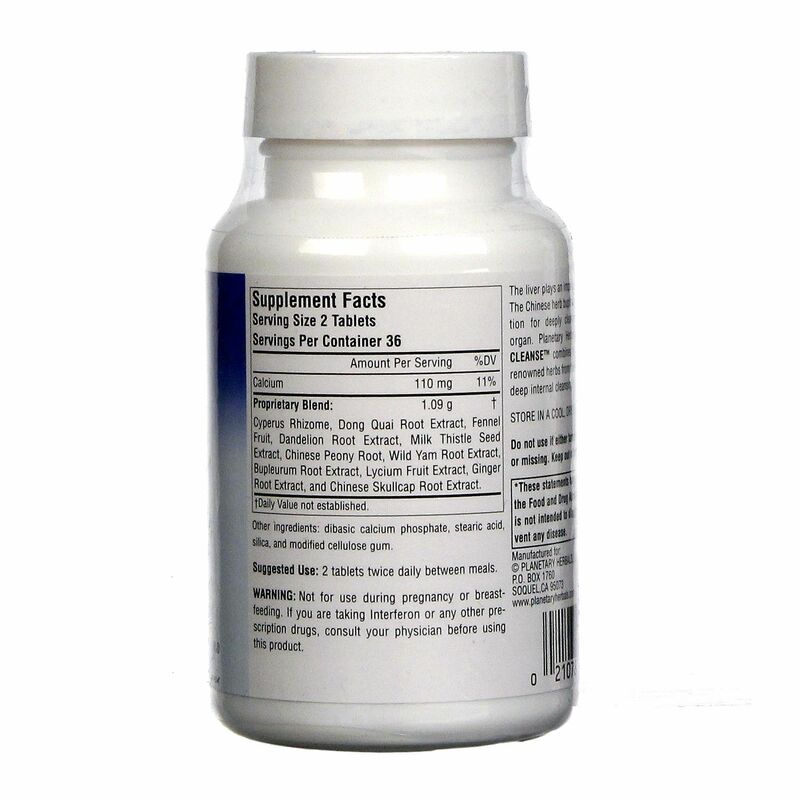 Recommended Use: 2 tablets twice daily between meals, or as recommended by your health care professional. 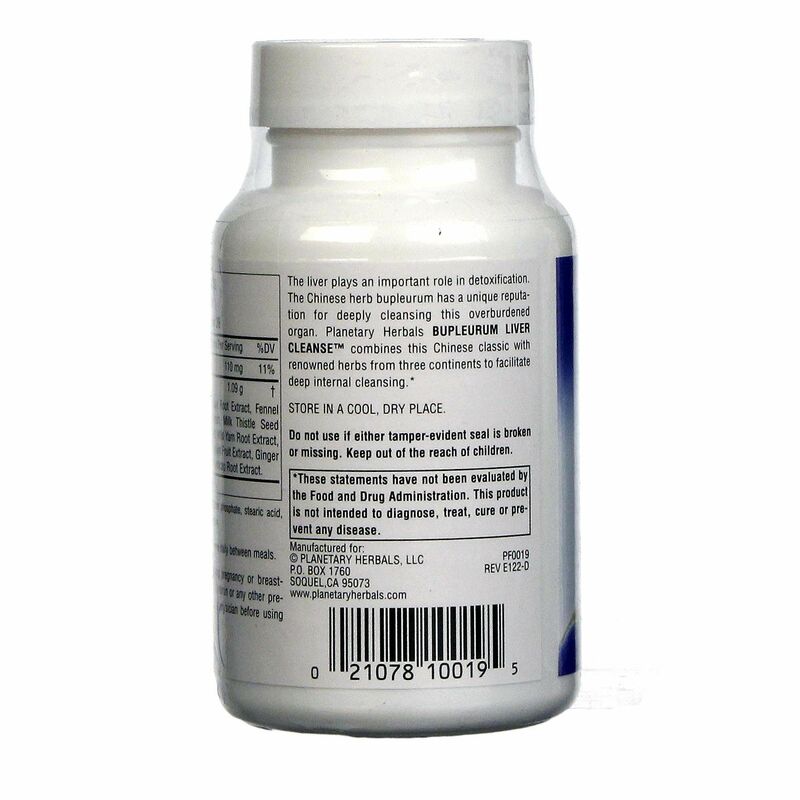 The customer reviews posted below are based on individual consumer experiences and may NOT necessarily represent what expected results will be from using or taking Planetary Herbals Bupleurum Liver Cleanse - 72 Tablets. These results may not be typical and you should not necessarily expect to receive the same results. Actual results may vary. 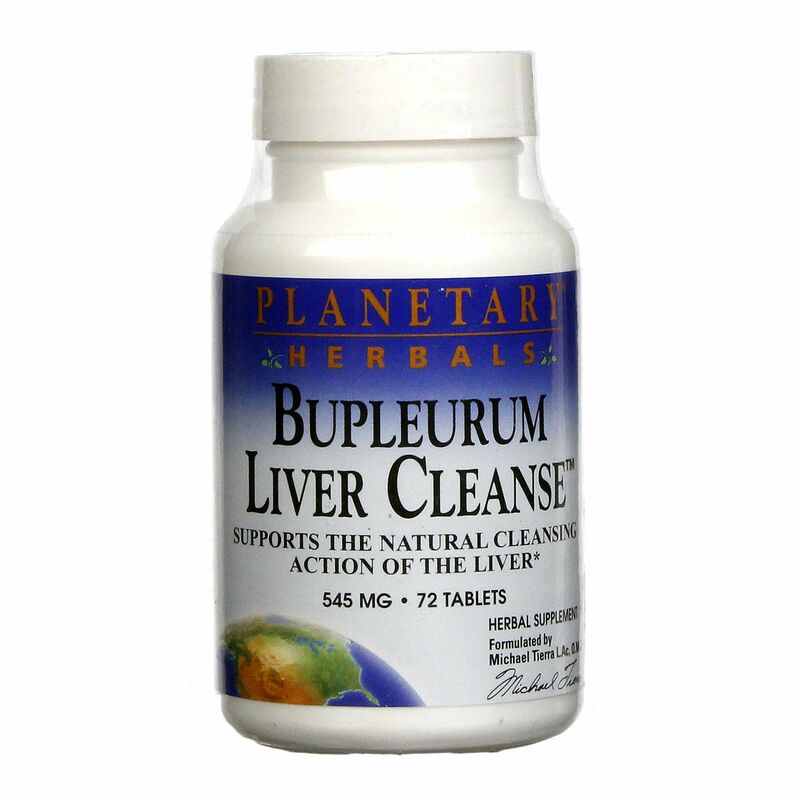 I think Bupleurum Liver Cleanse is a good product, however, a first I noticed good results and started having indigestion that wouldn't go away. I thought that this was just part of the detox effect and then started getting a headache every day. I also noticed excitability, which I did read could happen. This is strong medicine so be careful. I was taking 2 capsules, twice a day on an empty stomach for about 2.5 weeks. For that short period of time, I did notice results(feeling lighter, food not upsetting me so much, clearer thinking and not feeling so bloated).